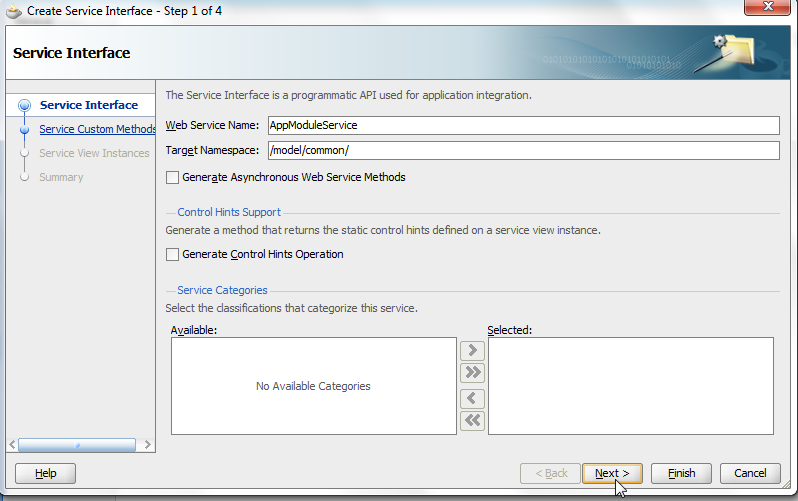 Create a Programmatic VO - WSResultPVO which will be returned from the operation of the WebService. 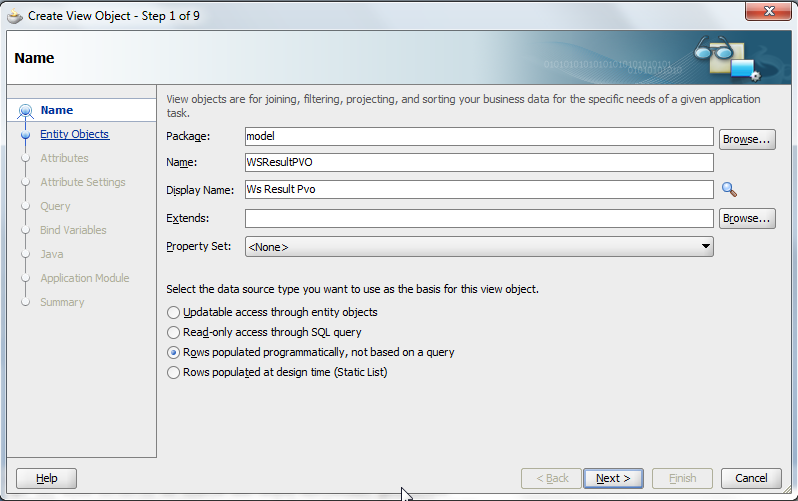 Now Add three variables in the PVO. DepartmentName,ManagerId and IsManagerFlag. Generate Necessary VOImpl and RowImp classes and set datatypes for the variables. Remember to make these variables set AlwaysUpdatable as below. Do a next and finish. Now write a method in AMImpl class which has a code below. This method is an operation of the Web Service which will return the List of Complex type. As clear from the code, the rows of WSResultPVO is being set programmatically. DepartmentsVO is iterated and value of DepartmentName and ManagerId is fetched and set into the rows of WSResultPVO. 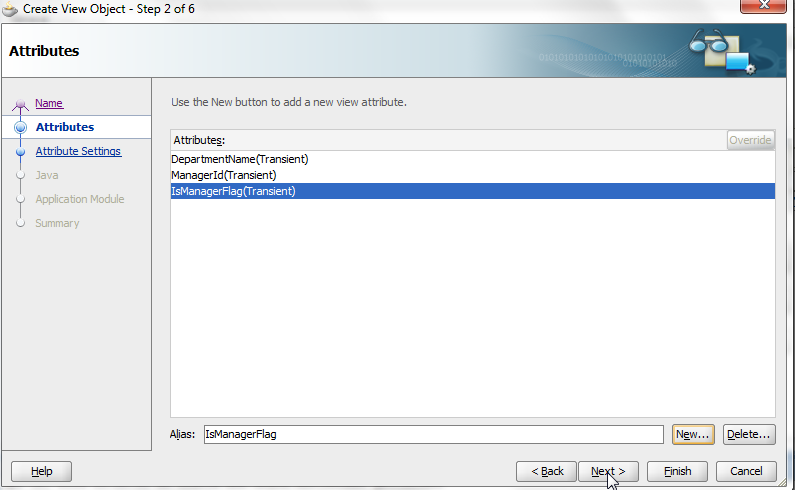 IsManagerFlag is being set Y here which can be changed based on any logic in real time use cases. At last the WSResultPVO row is added to the List - returnList which is being returned by the operation method. We are all done with code part. 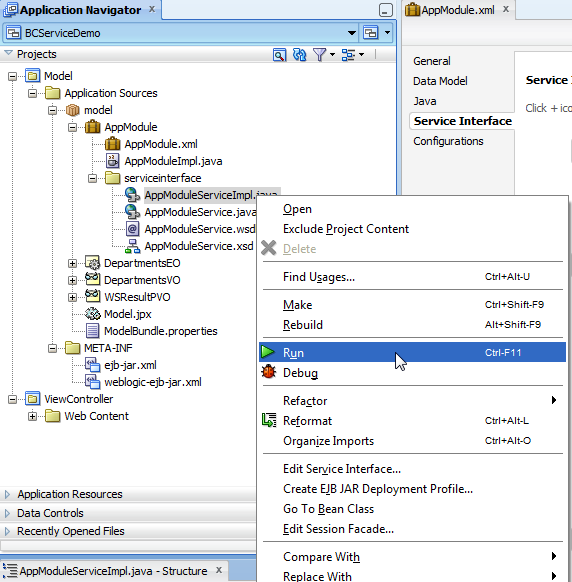 Now lets quickly create service interface and expose the web service. 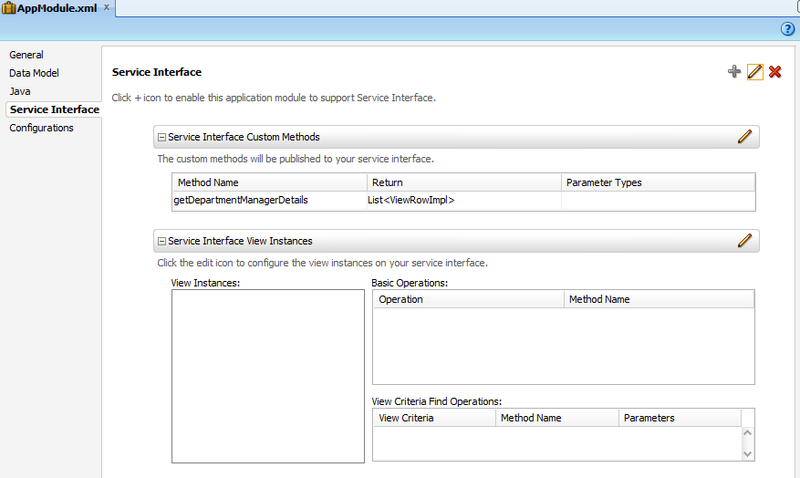 Go to Service Interface tab of AM. Click on Green Add Icon. Here you can define the service name. We will go with default for this example. 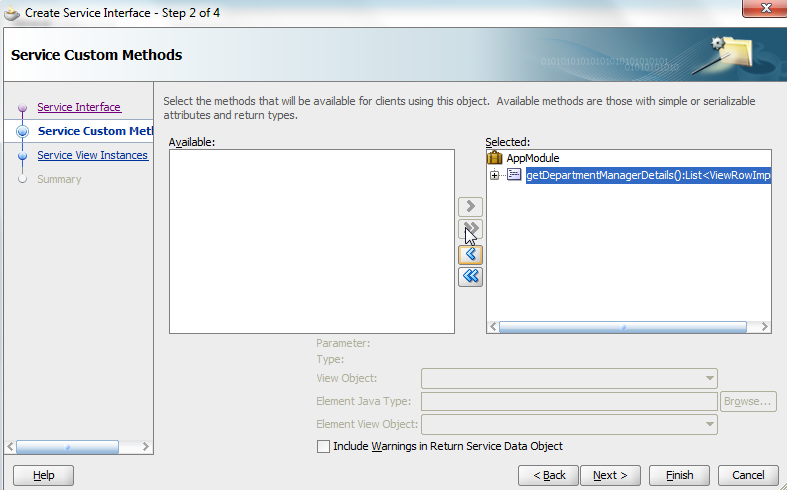 On Next screen just shuttle the method which we need to expose and which is there in AMImpl class. We need to define what will be the return type from the operation. 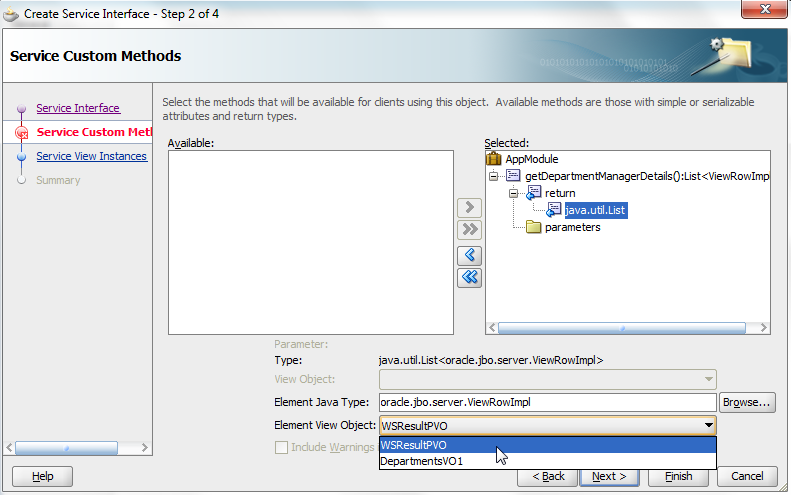 So expand the shuttled method and click java.util.List and select WSResultPVO from below as shown below. Do next and finish. Below will be added to Service Interface. Thats it we are done now. Just Run the newly generated serviceImpl class from serviceInterface. After running, there will be link of the exposed service and one can test it. Just click the operation and below shown will be the results. So by using ViewRowImpl, we can return List of complex type object which can carter requirement of having complex type returned from the service. Good to know that! 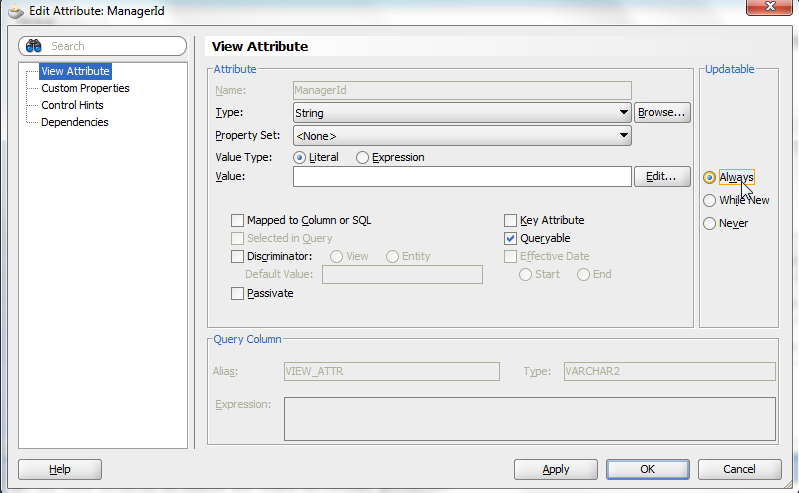 Do you know if its possible to work with this List in Oracle MAF? 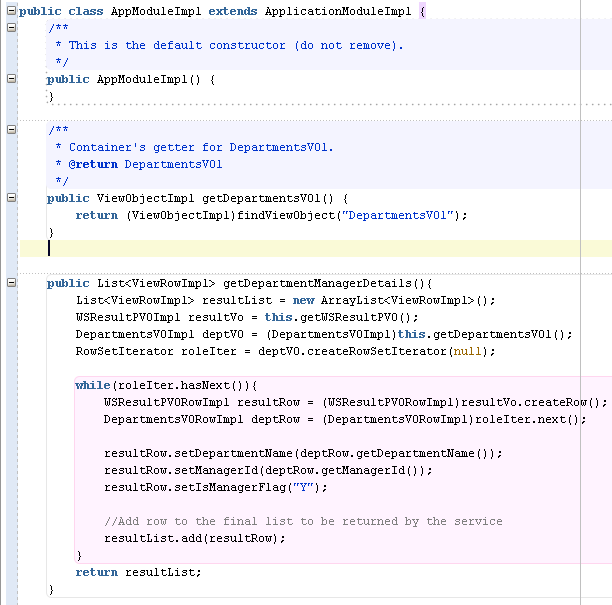 I have a requirement to create a Web Service to return a complex list and show on my Mobile Application. 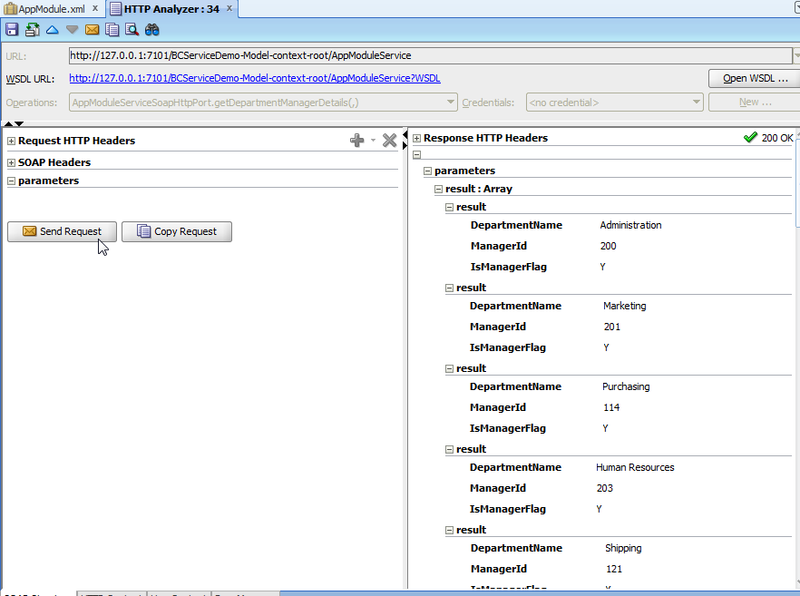 It is a very useful for exposing complex type (Return type )webservice !!!! Very nice explanation, thanks a lot . A very good and informative article indeed. It helps me a lot to enhance my knowledge. Keep sharing in future.I will be waiting for your next blog. I have a scenario where I want to return Master-Detail data as Complex Return Type. Can you help me on this on How to achive this?